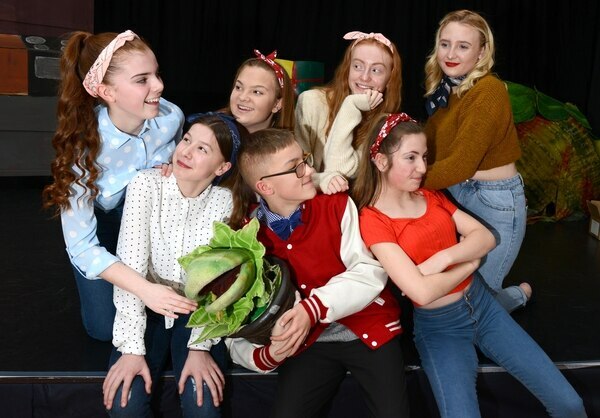 More than 50 Telford school pupils are busy preparing for opening night in their production of one of the most successful musical comedies. 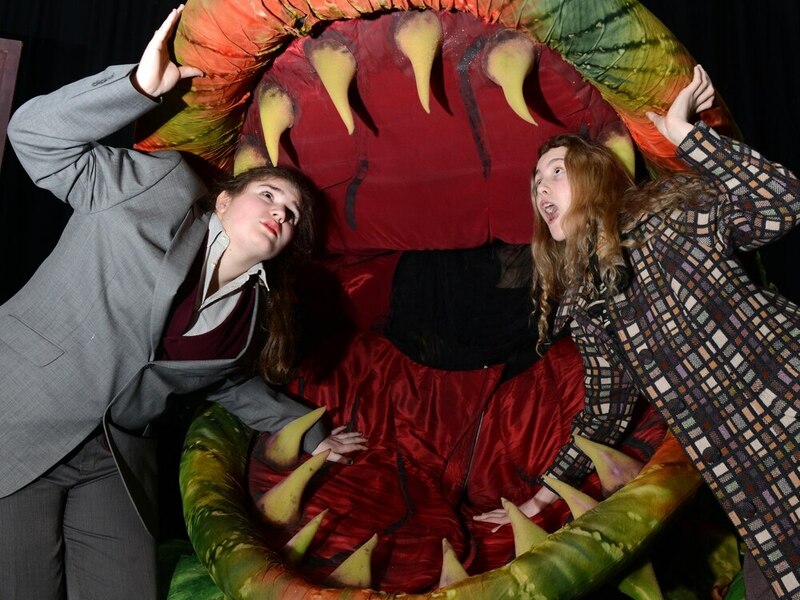 The Ercall Wood Academy youngsters in Telford are rehearsing for their version of Little Shop of Horrors, which opens on Thursday. The pupils, from years 7 to 10, will be putting on two performances, with the second taking place on Friday. Amanda Bowater, director of the show and head of performing arts at the academy, said she was excited about how the production is shaping up. She said: "The students are not just acting and singing, they are also puppeteers, doing the lights, the sound, the backstage crew, everything. "It is going really well. We have had the puppets since Monday so it is about putting them into the show. "It is great. They have been learning the skills like how to lip sync and make the puppets come to life on stage. 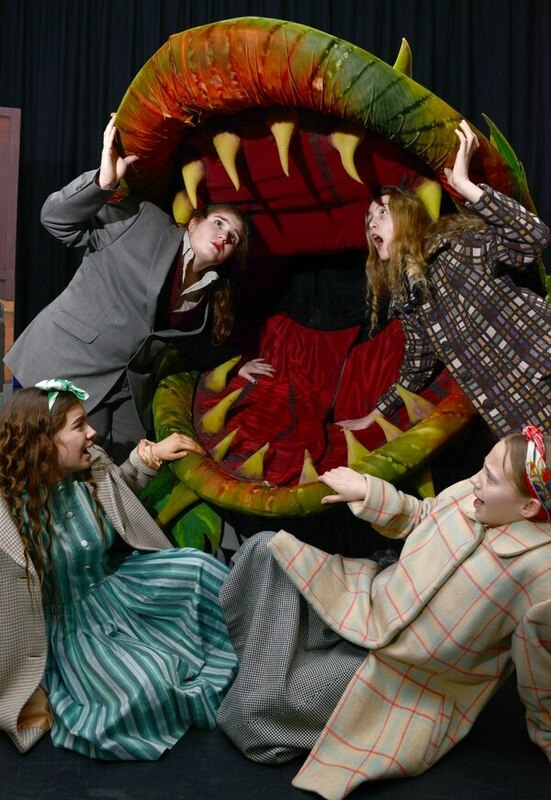 Tilly Gaughan, Courtney Morris McGlynn, Ella Chatterton and Lauren Hammond wirh Eve Ward-Bevan, Harry Everson and Carys Corbett at the front..
"They have been fantastic, they are incredibly committed to the whole project. They are also full of energy, laughing and smiling and just bouncing and buzzing with it." Asked what the public can expect from the show Ms Bowater said: "Great singing, a laugh! It is very funny, it is comic, it has got a dark side but it is told with tongue in cheek. "You have this plant that takes control of this young man's life, it makes him believe it will make the world a better place before he learns the lesson that you do not get anything for free." Ms Bowater also paid tribute to the efforts of staff in supporting the pupils in their work. She said: "There has been a great team working on this we just would not be able to do it without them, they have been superb."